There’s always a first time for everything, they said, and this is my worst first time: of death of a dear, dear friend. His name is Sudish Niroula, a classmate in CEU. I am lucky to have the opportunity to know him for a while, and pretty intensively in the short period of time in Budapest and around. He’s funny, kind-hearted, light-spirited, with brilliant mind and huge potential. He’s done so much in his too-short years of life. We’ve always talked about reunion, of gathering with CEU-mates really, really soon. “I’ve so many things to tell you! I’ve done crazy things in Budapest but I won’t tell you until we meet again,” he once said. Alas, Sudish, no reunion in this world, in this lifetime. An accident took you away from us. Rest in peace, and in happiness, and in laughter. 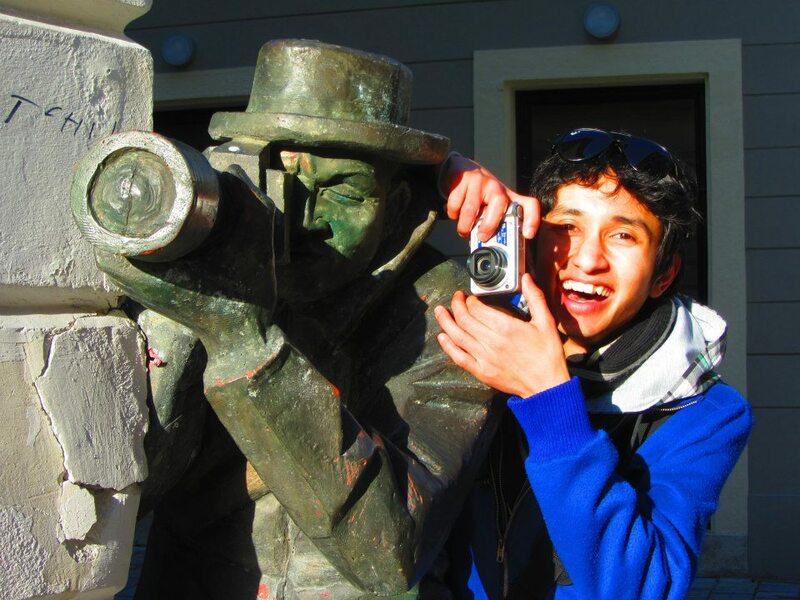 This picture of him was taken in the Bratislava daytrip. We missed the bus because he was late while I (and Juan) forgot to bring our passports. So we caught up other CEU-mates later by train. But the trip was still super fun, thanks to his silliness. Of which I’m missing so much, I even refused to believe he’s dead when I first read the news, and cried so hard when the reality soaked into me.